I am very excited to intoroduce my newest listing on Vancouver’s Westside. Welcome to 104 2268 W 12th Ave, Vancouver. 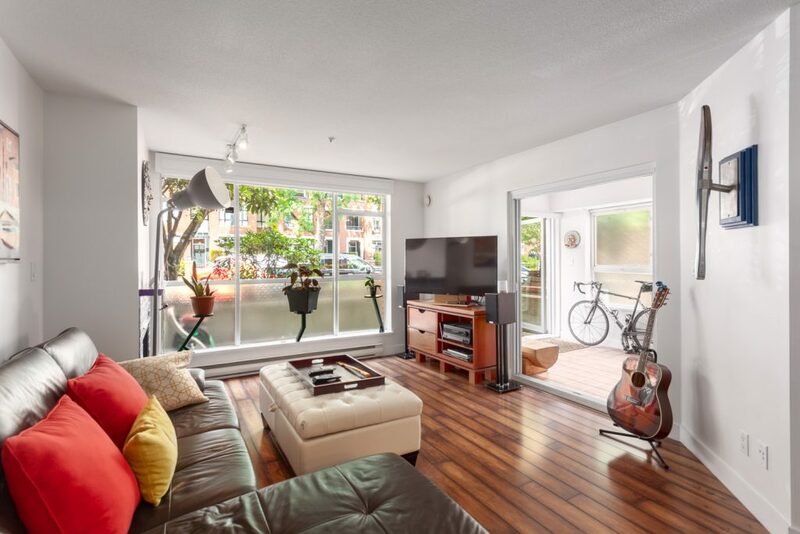 A move in ready 2 bedroom city home in the heart of Kitsilano. Welcome to the Connaught on 12th Ave, a walkers paradise in the heart of Kitsilano! From this location, you’re a quick stroll to the best of Westside living: coffee shops, restaurants, parks and Vancouver’s best beaches. The Connaught is a well run building of only 30 homes with a pro active strata. #104 is a ground level corner home with a large private patio and your own front door! Recent renovations include new counters and cupboard doors in bathroom and kitchen, like new stainless fridge and stove, under cabinet lighting, numerous fixtures and sliding glass doors in the solarium. This move in ready home also offers updated flooring, recently serviced gas fireplace and designer paint. 1 secure parking stall and 1 large storage locker included. Pets + rentals allowed w/ restrictions.